In a park visited by over 8 million people per year, maintaining the balance between the needs of Stanley Park visitors and wildlife is an ongoing challenge. Park roads, unauthorized trails and the feet of thousands of visitors can degrade sensitive Park habitats. 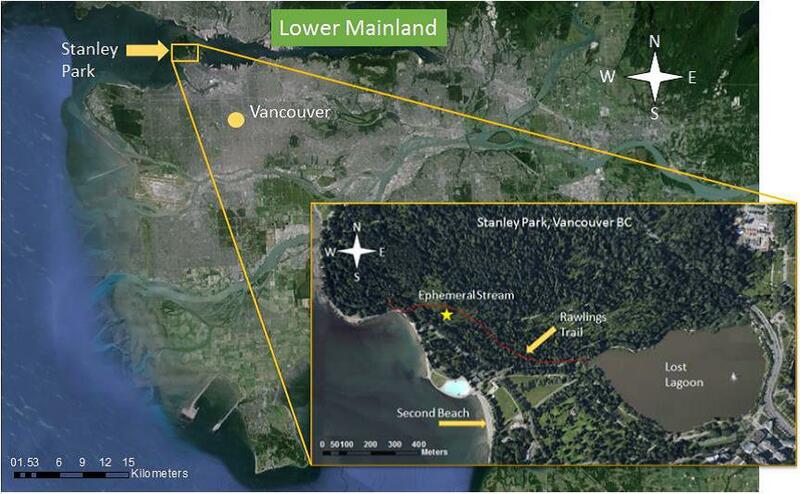 In the case of one small Stanley Park stream, soil compaction on its banks may have resulted from nearby road construction and heavy foot and bike traffic. 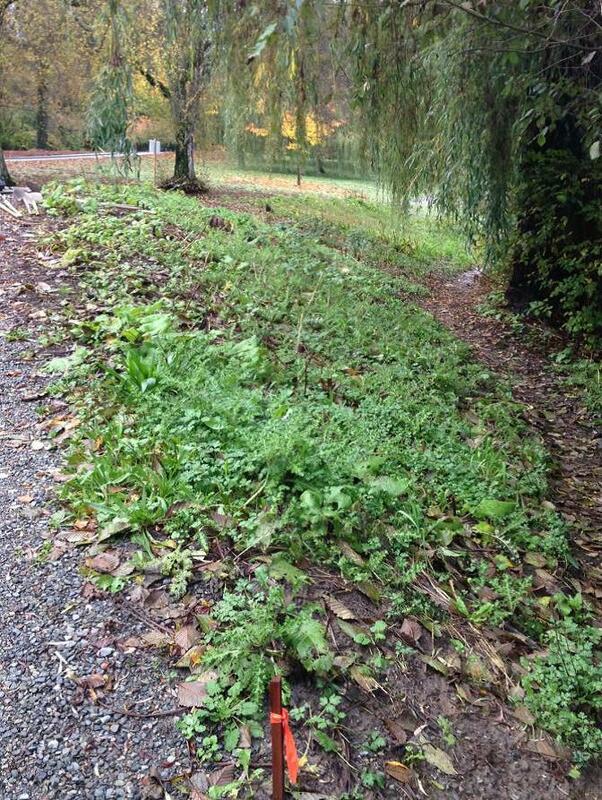 Invasive plant species may have also been introduced by Park visitors along both this stream and the banks of Lost Lagoon. Thanks to HSBC Bank Canada’s support for Stanley Park Ecology Society’s (SPES) HSBC Freshwater Initiatives of Stanley Park program, two new projects run by SPES and British Columbia Institute of Technology (BCIT) aim to reverse some of the damage. The first project aims to restore a Park stream to its natural state and improve habitat conditions for native amphibians like the western red-backed salamander, as well as for cavity-nesting birds like the red-breasted nuthatch (Sitta canadensis) and Bewick’s wren (Thryomanes bewickii). 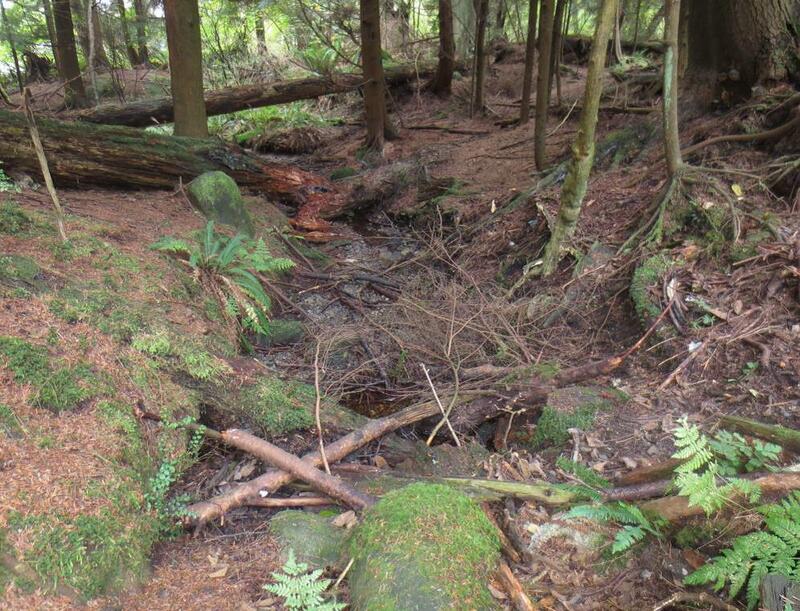 A section of a stream in the southwest section of Stanley Park was diverted 50 years ago through a culvert under a park trail. Unfortunately the culvert is the wrong diameter which is causing the banks of the stream to erode. Team members added boulders to the stream last fall in order to lower stream velocity and decrease erosion of the stream bank. Invasive species had also colonized the stream’s banks and the pH level of the water was found to be too acidic to support salamander eggs. If the source of the acidity cannot be determined, the team recommends adding a soil layer mixed with lime along the stream banks to increase the alkalinity in the water in the future. In late 2014 SPES and the BCIT team removed invasive species along the stream – particularly English holly, creeping buttercup, Himalayan blackberry, and English ivy – and planted cuttings of red-osier dogwood, salmonberry and willow. These species naturally colonize the edges of creeks and offer habitat for native wildlife. The plants’ roots, for example, are critical nesting grounds for amphibian species and provide moist areas for salamanders to stay cool in hot summer months. Adding large woody debris and coarse woody debris in the fall also enhanced the edge habitat for amphibians, insects and birds. The next few months will see the planting plan completed, amphibian habitat improved, and nest boxes added to increase bird species diversity. The second project aims to tackle an invasive plant species that affects the health of habitat around Lost Lagoon. Burdock is easily recognised by its prickly seed heads. If you ever walk through a patch of burdock, the burrs will attach to your clothes. As you might imagine, this is a great way for the plants to spread their seeds. It also makes eradicating these invasive plants from Lost Lagoon’s edges a challenge. 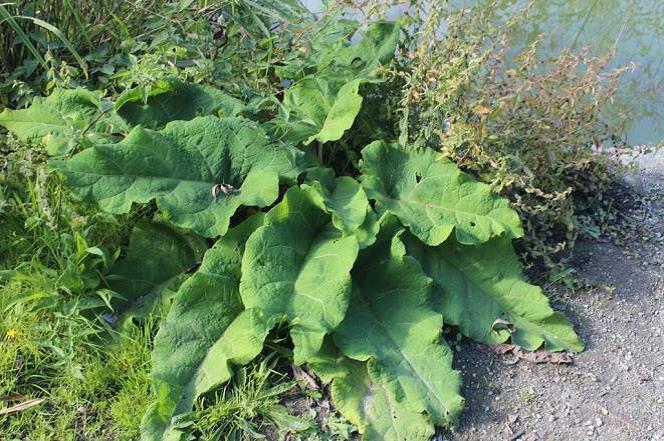 The team’s first task was to survey the banks of Lost Lagoon to find the patches of burdock. 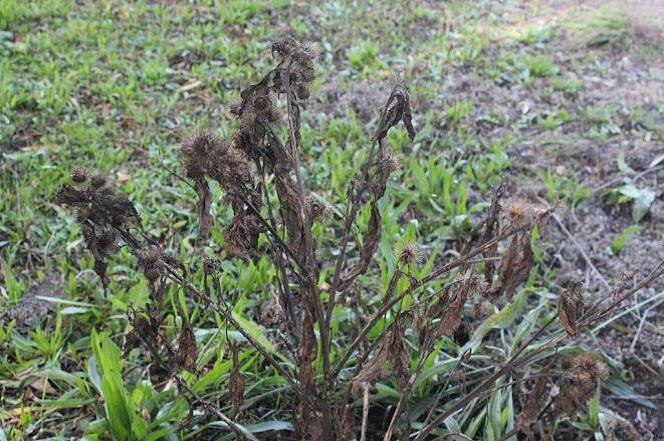 The stewardship team then used an unusual method to eradicate the plants: They tilled the soil, as if planting crops, and buried the burdock seeds under a thick layer of soil to prevent them from growing. 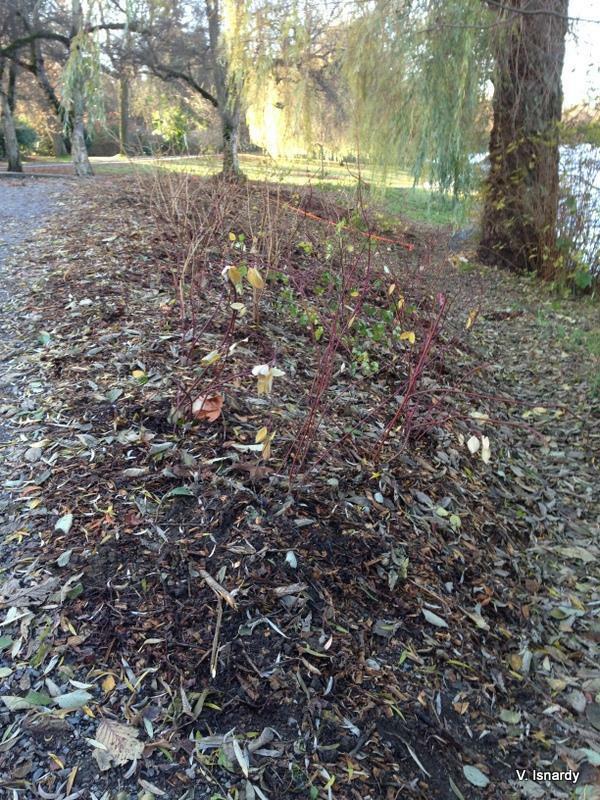 The area was then planted with salmonberry, willow and red-osier dogwood cuttings – all native species. The team has since returned to monitor the sites and it seems that all their digging and covering is paying off. SPES is very grateful for support that has enabled us to work on these projects, and there is always more to be done. Water is the lifeblood of Stanley Park and its waterways continue to face many negative pressures. With HSBC Bank Canada’s renewal of funding for another year, we are set to restore more sections of precious Park habitat – for the benefit of both wildlife and Park visitors.